Dental implants and dentures both provide solutions for problems concerning missing teeth. However, dental implants have a number of advantages compared to dentures; these advantages can be discussed in detail by Life Dental Implants in London, so you can have the information you need to make the choice that will best suit your needs. 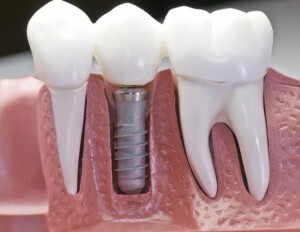 Dental implants are anchored to a patient’s jaw bone and are thus firmly held in place. Dentures, on the other hand, have the tendency to move around and cause discomfort (and embarrassment) to the patient – since they are not attached to the jaw bone. Dental implants also prevent further deterioration of the jaw bone area where the missing teeth are located. Get in touch with Life Dental Implants today to know more about the advantages of dental implants compared to dentures, so you can enjoy flashing great smiles without having to worry about your dentures moving around unnecessarily.